Góðan daginn, or hello in Icelandic! On this fine Tuesday I have the brand new OPI Iceland Collection for fall 2017! Can you believe the fall collections are already coming out? I mean, it’s already August and I swear Memorial Day was like 3 weeks ago. Anyway, OPI Iceland features twelve new shades in various finishes, and I have to say, I was pretty psyched for many of these shades. 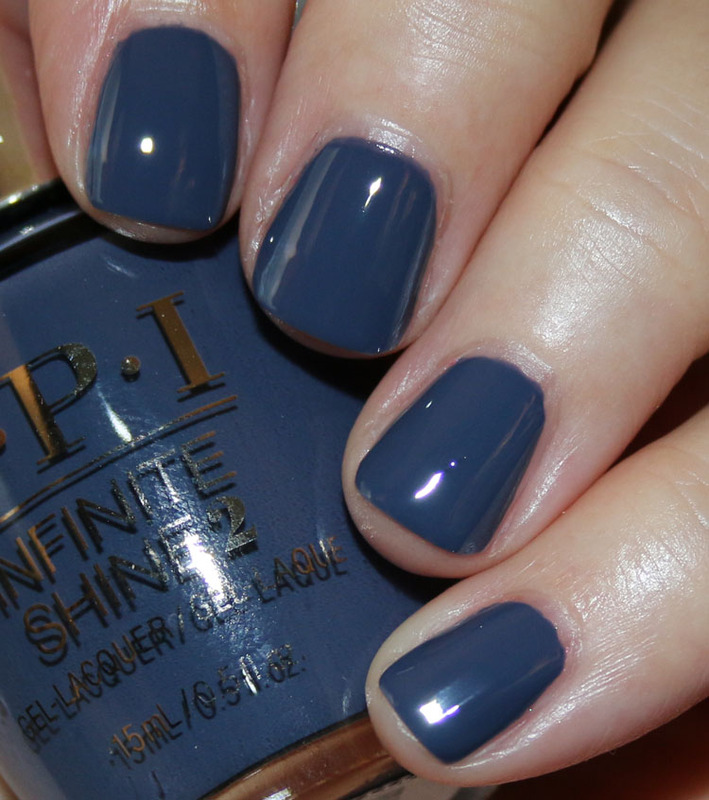 Seems lately OPI’s collections have had only 1 or 2 good and/or unique shades, but this one has quite a few! 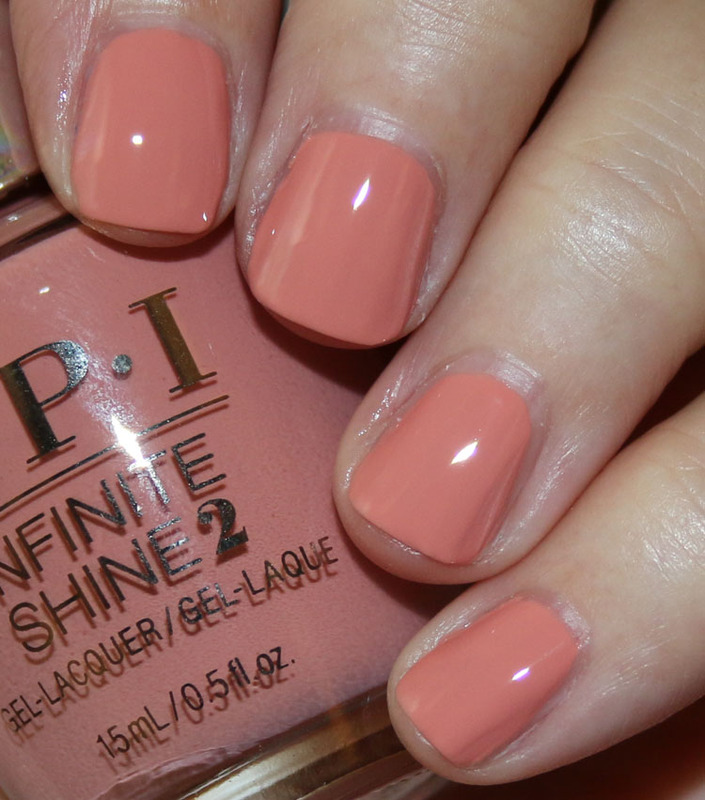 I did receive samples in the Infinite Shine 2 formula, but these also come in the regular formula. As far as formula, I have not a single complaint here. 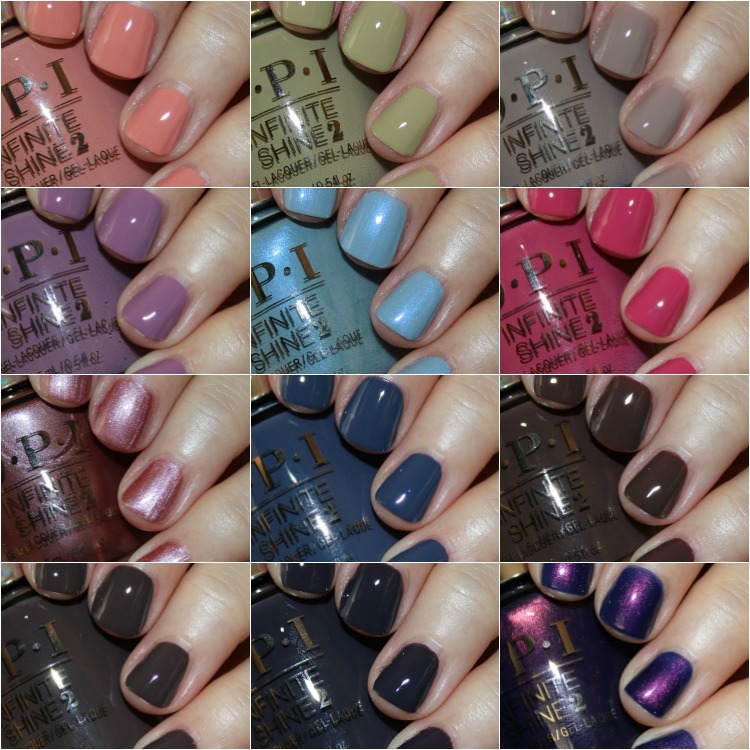 All of these swatched perfectly with just two coats over a base coat. Fabulous! I’ll Have a Gin & Tectonic is a pinky/peach creme. This Isn’t Greenland is a medium avocado green creme. Icelanded a Bottle of OPI is a soft taupe creme. One Heckla of a Color! is a dusty plum creme. Check Out the Old Geysirs is a blue/grey with iridescent blue/pink shimmer. Aurora Berry-alis is a muted medium berry creme. Reykjavik Has All the Hot Spots is a pinky/mauve shimmery frost. 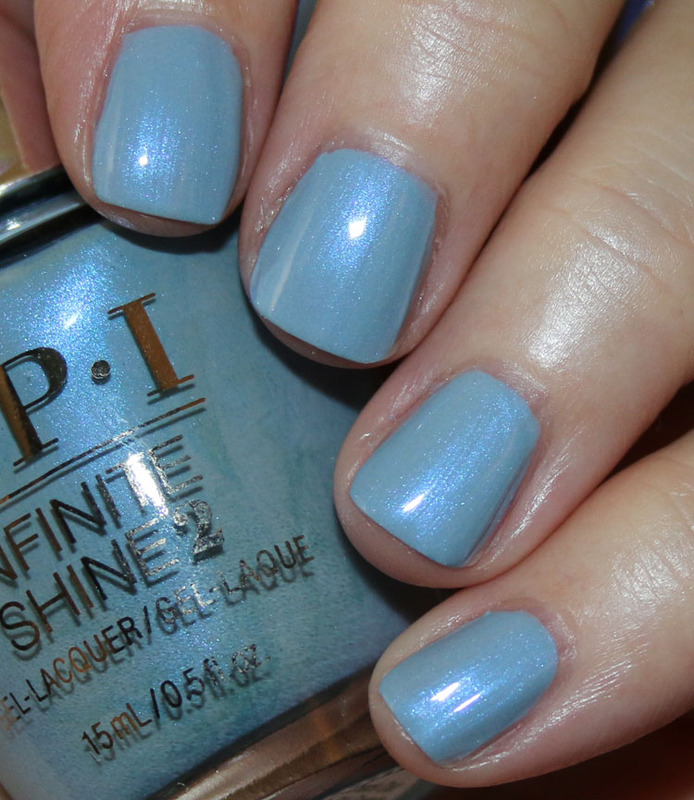 Less is Norse is a deep dusty blue creme. That’s What Friends Are Thor is a dark warm-toned brown creme. Krona-logical Order is a dark cool-toned espresso creme. Suzi & the Arctic Fox is a dark muted plum creme. Turn on the Northern Lights! 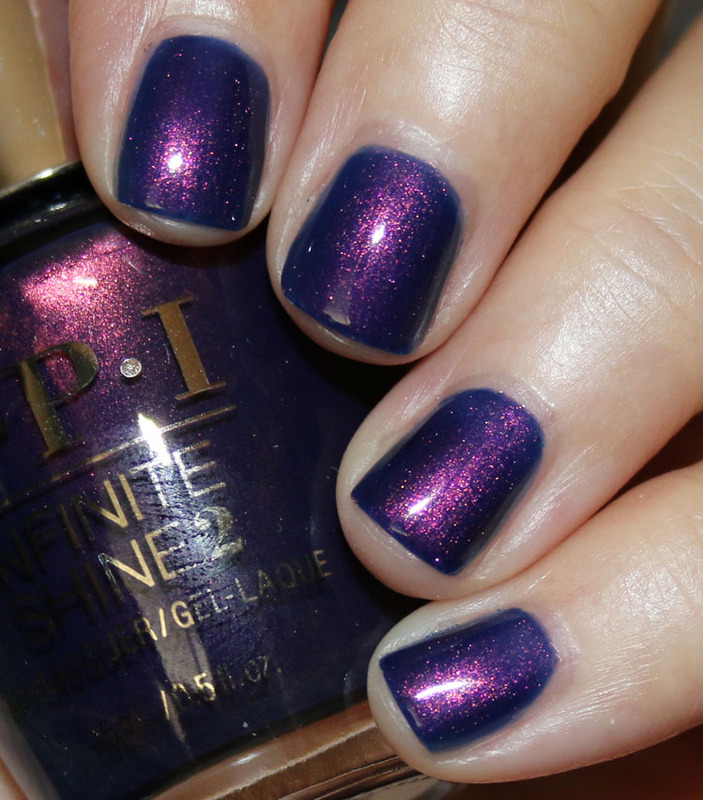 is a deep inky blue/purple with heavy red/pink lit-from-within shimmer. Really nice, yes? Of course there are some I feel are more unique and interesting than others, but I love that they were all just two coats. I personally love This Isn’t Greenland because it’s kind of a different avocado creme shade than many other greens. I’m also loving all of the dark cremes because they have a great murky, dusty quality to them, in particular Krona-logical Order. Check Out the Old Geysirs is a really beautiful shimmer and of course, THE stand-out, must-have shade here for many people will probably be Turn on the Northern Lights! I cannot even express to you how mesmerizing this one is in person and in sunlight. It GLOWS. Beautiful! 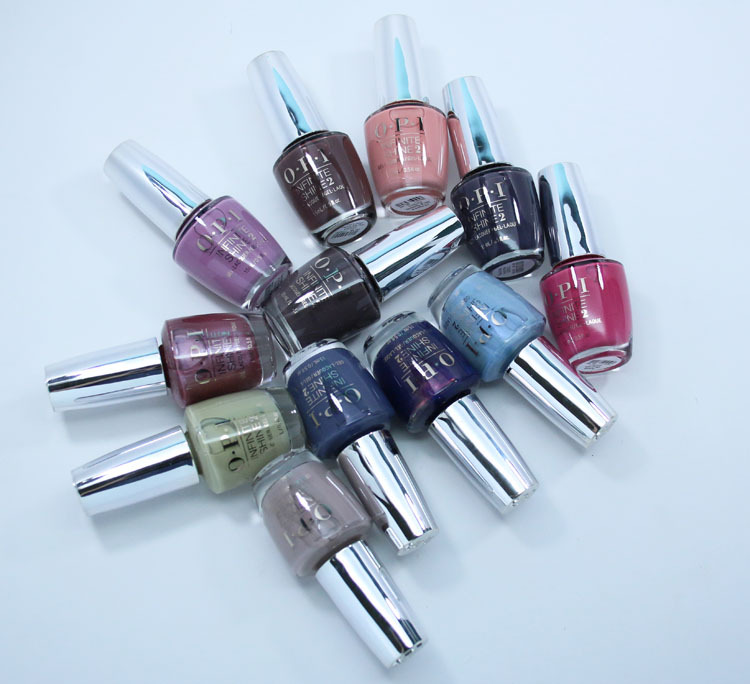 You can find the OPI Iceland Collection (and regular collection) at Ulta now and they are $10.50-$12.50 each. 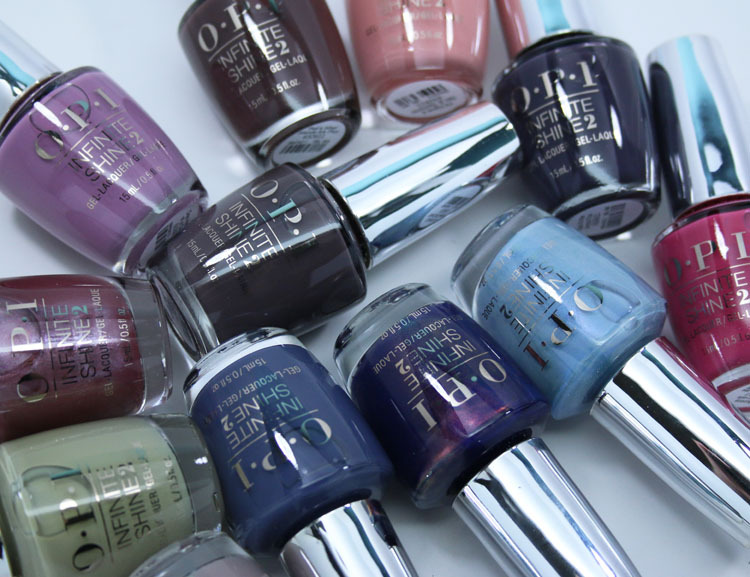 Which OPI Iceland Collection shades will you be picking up, if any? Yes, definitely the Northern Lights one for me. I hope it is just as awesome if I buy it in one of the other formulas. 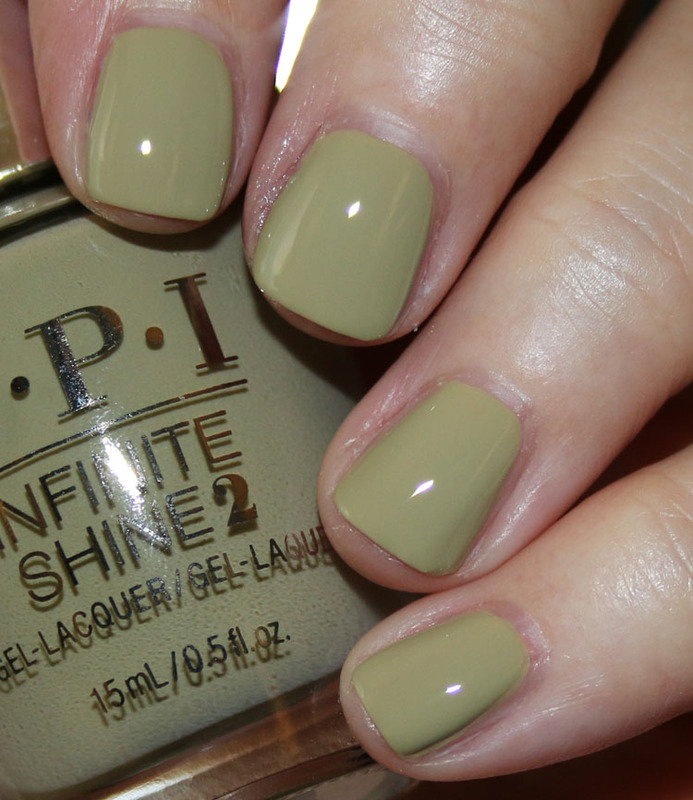 Have you done a formula comparison, wearing the same color in different OPI formulas for a few days? No because nothing lasts on me for more than 2 days max anyway, so it probably wouldn’t be very helpful! I’m patiently waiting for the collection to reach my doorstep. 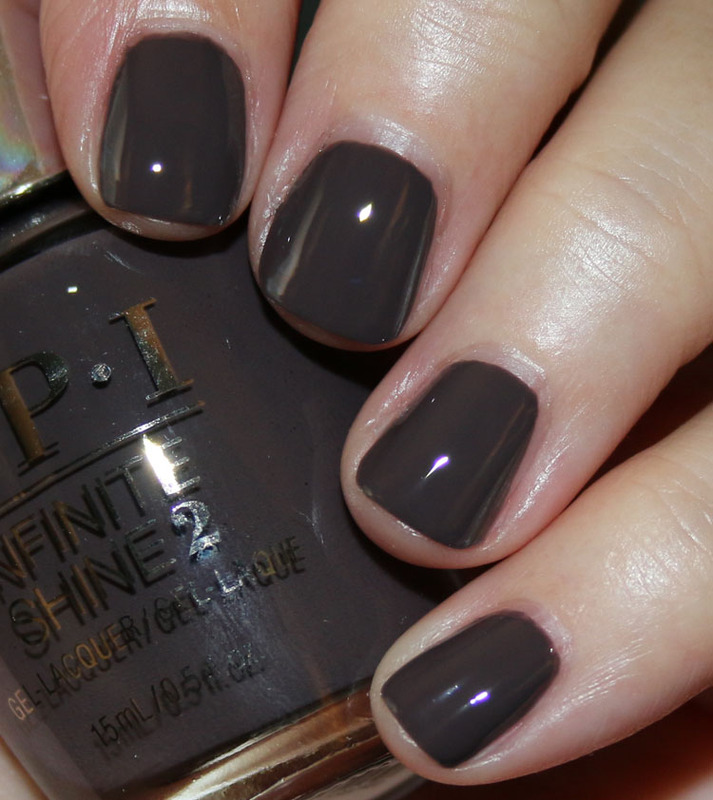 These colors are fall-ready and gorgeous! Do I need to get the whole system? I already have a Vinylux topcoat, will they play nice together? Generally I am all Zoya all the time but I really love a few of these. Thoughts? Well the top coat may make it last longer for you, but really it’s such a personal thing depending on oils in your nails, etc. it’s hard to know. Ill be picking up Krona-logical order, Northern Lights, Check out the Old Geysers. I love a cool toned dark creme! Thanks for your lovely pics and good to know 2 coats will do the job! Wow! Turn on the Northern Lights! is gorgeous and probably the only one I’d pick up. I have colors really similar to the other ones I like. I’ll go against the grain here and say that I will absolutely *not* get Turn On the Northern Lights. That said, I’m loving the avocado green (This Isn’t Greenland), the dusty deep blue (Less is Norse), the mid to deep warm brown (That’s What Friends are Thor), and the cool espresso brown (Krona-logical Order). Turn On Northern Lights looks SOOOOOO up my alley. I might have to get it. I have to join in with everyone else and say that Northern Lights looks amazing! I would love to try Geysers as well. Less is Norse looks beautiful!